Let's face it, your team thinks meeting are boring. And they'd be right if you're doing what most businesses do. So how can turn your next meeting into something everyone wants to attend? With so many meeting rooms in Edinburgh and London conference venues available, the success of your event largely depends on standing out from the crowd. Take your meeting beyond the boardroom by considering our recommendations for unique conference venues. Art Galleries Funky and truly exciting, art galleries provide a beautiful backdrop for your event. If your business focuses on marketing and advertising, a trendy spot will impress your staff and create excitement for your meeting. Don't forget about the cocktails! Gardens If you want to create a more tranquil atmosphere for a delicate meeting, then an outdoor garden might be perfect. Obviously the season plays an important role in choosing an outdoor event. London and the surrounding areas provide plenty of gardens to rent out, so don't discount this option for conferences in the UK. Warehouse Lofts Some spaces in London and Edinburgh offer retractable walls and windows that provide additional space for your meeting. 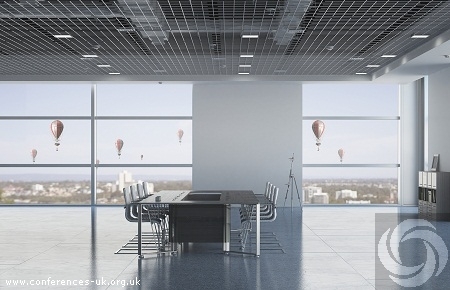 They also get your team out of the traditional office space, which energises the senses and engages the mind. Many of these lofts are available at affordable prices, but parking can be a problem so consider that as well. Contemporary Spots A great example of contemporary design spaces is The Aviator by TAG. This event space is built to tantalize your architecture fantasies and provides plenty of space to host a meeting or conference. Your staff will thoroughly enjoy the unique nature of the space and you'll love it because your staff stays focused on the topic at hand. Castles England and Scotland are full of ancient castles and architecture that you and your guests will adore. You can't get much more unique than a castle, and these spaces provide the square footage and interest you need to keep your team on board, instead of suffering from boredom. Regardless of what type of conferences in the UK you plan on hosting, we can help. We can source a unique event space or something more functional depending on your needs. Contact us today to learn more!